I had so much fun making this quilt, I just couldn't stop designing all the different sizes. It is the same easy block just rotated to look off balance or 'Wonky'. I am so used to making quilts that are straight with everything all lined up this one was really fun for a change. I have designed it to go with our new Fat Quarter Bundles and also our new Dye-It 8 Bites and Dye-It 12 Bites. They are Fat Eighth yard cuts of most of the same colors offered in our Fat Quarter Bundles. 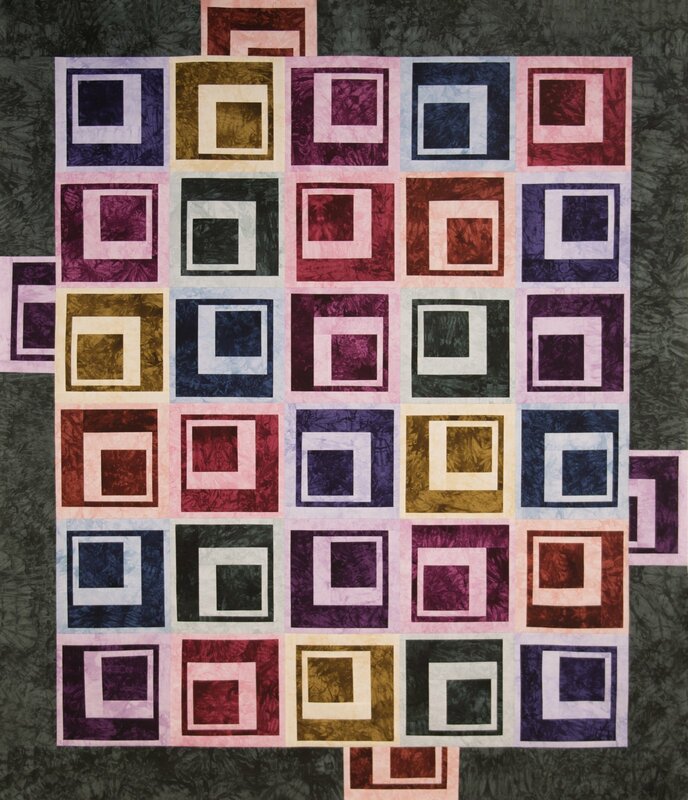 Any equal combination of light and dark colors could be used for this quilt. The kit can be ordered in the exact colors as the sample or you can be creative and design your own colors from our Fat Quarter Bundles and Yardage. Also check our out Quilt Backs if you would like a back to match.